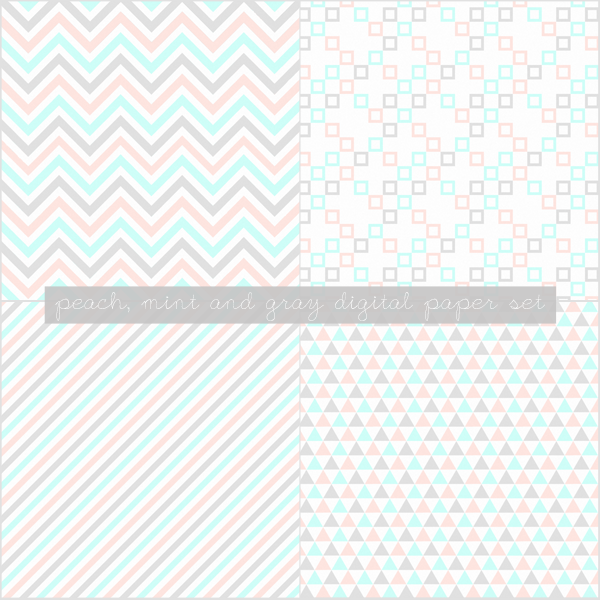 Here's a free set of 4 12x12 inch digital papers featuring triangles, chevrons, stripes and squares in subtle gray, peach and mint. Don't you love this color combo? Feel free to use these papers for scrapbooking, crafting or kind of personal or commercial digital design project.